We offer turn-key hardware, software, and services for renewable energy. 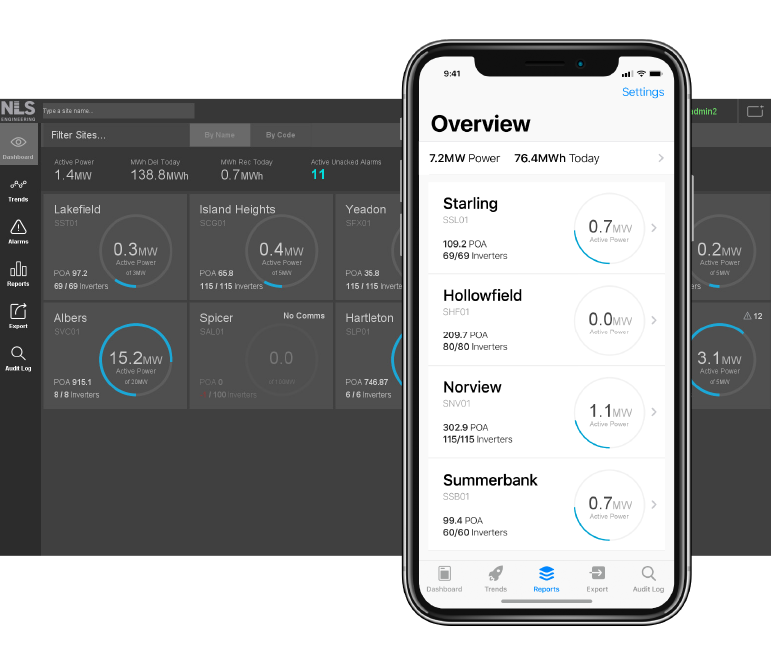 Our experience working with stakeholders, contractors, and regulators gives us the foresight to manage your entire portfolio. 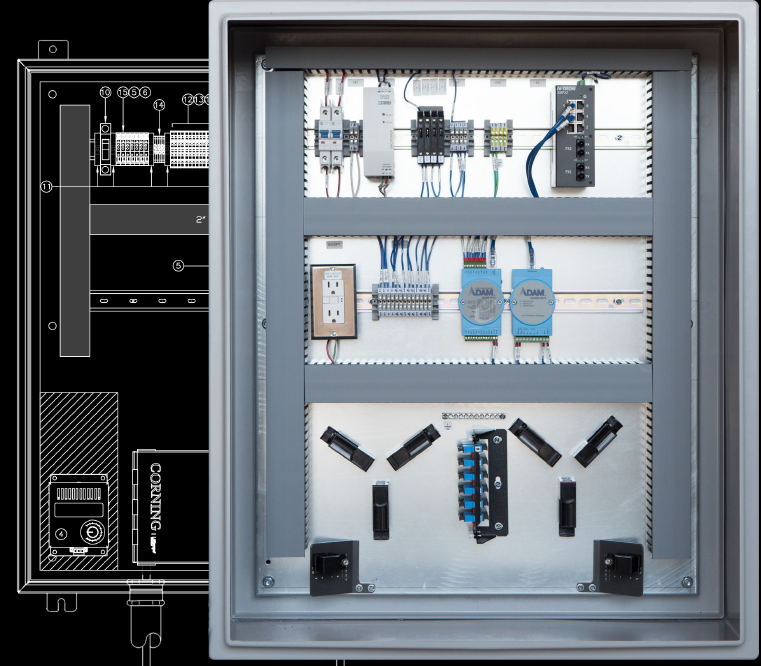 Our rigorous system planning and design process ensures smooth execution from start to finish. We offer modern, real-time SCADA and plant control for utility-scale renewable energy production. 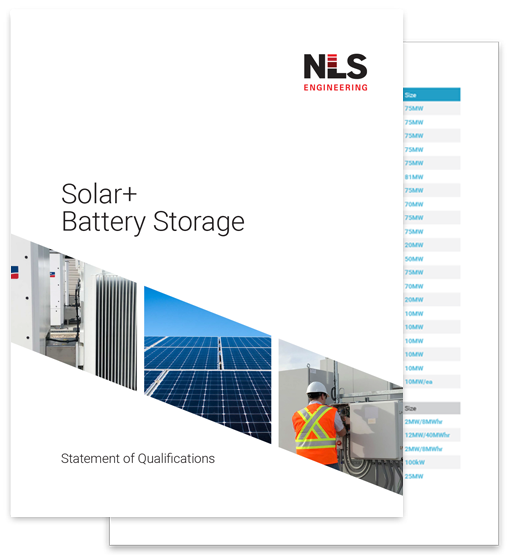 NLS develops utility scale battery storage sites to support the grid and shift peak usage. We offer engineering, site preparation, studies, and SCADA for commercial rooftop solar installations. We supply the hardware, software, engineering, and construction for your commercial & industrial solar projects. Our centralized solution offers unlimited data points, users, and 24/7 support. No monitoring fees. 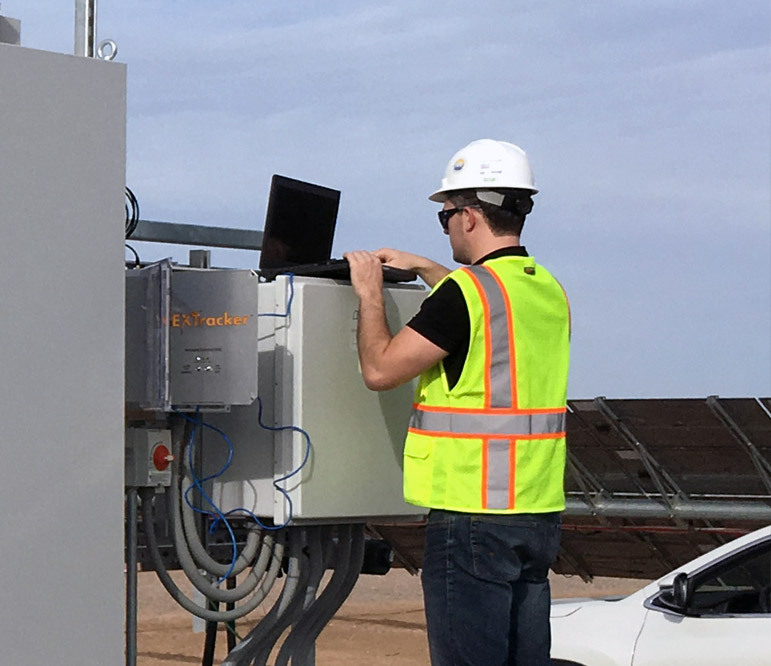 NLS averages a 4-5 day commissioning time for an 80MW solar site, and we developed an advanced simulation suite to ensure a flawless logic and data point check-out every time.